Supporting those customers who often request help at 2:00 am in the morning, or even customers who lives in different countries throughout the world with different time zones can be extremely hard to manage. 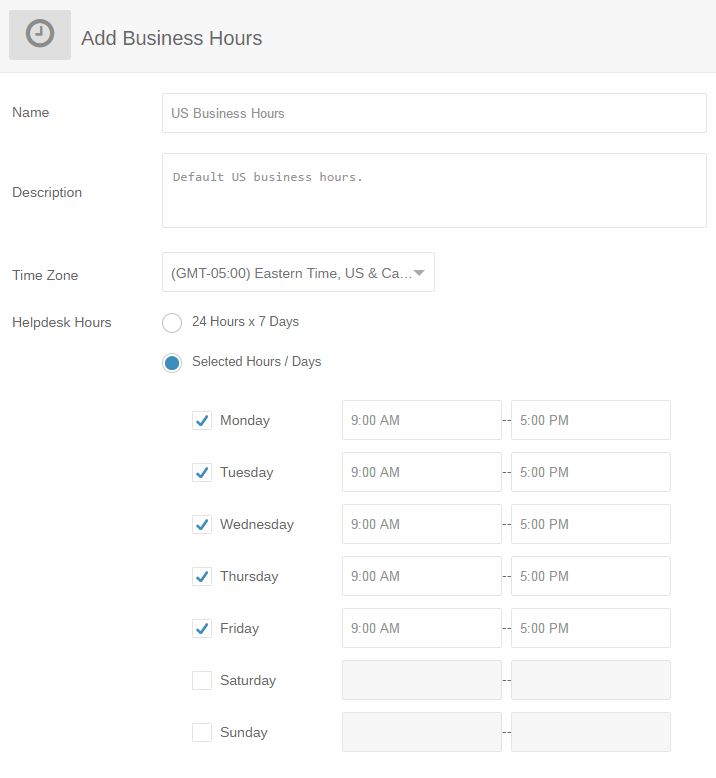 With Trakdesk business hours, you can create multiple business hours; configure business operational hours and setup holiday’s exclusions. You can also assign business hours to specific SLA policies, configure targets and setup SLA violation notifications for each policy so nothing slips through the cracks. Select the Business Hours option. At the Top Right of the page, click on the drop down menu and select Add Business Hours. 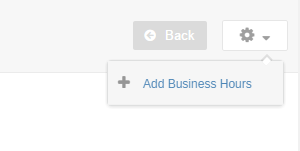 On the Add Business Hours page, enter a name and description for the business hour. You will also need to select a time zone and configure your helpdesk hours whether it is 24 hours or selected days of the week. Once you are done configuring your helpdesk hours, click on the Submit button to add the business hour. Follow the guide below to setup holidays exceptions for your business hours. Holidays are pretty much exclusions to your business hours, the days as to which your business is closed and not operational. For example, let's say today is a holiday and your business is closed, and a customer sends in a request for help, the ticket respond and resolved within time will be calculated based on the next working day. Import holidays using the holiday import feature. Once the popup modal has opened, select your country and click on the Import Holidays button. Note: Importing will add this year's holidays to the list and will not be automatically updated next year. You will need to repeat this process on a yearly basis. 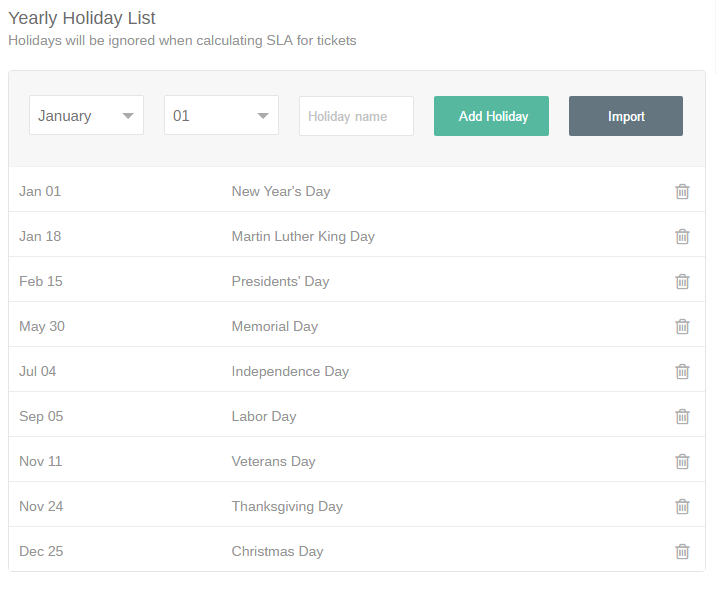 Finally, review the imported holidays and making your adjustments. Note: All public holidays will be imported from google and may include holidays that does not apply to your company. You can remove those holidays by clicking on the Delete option. Once you are done configuring your holidays, click on the Submit button to save your changes.